Welcome to the National Museum of the U.S. Air Force. Prepare to have a high-flying time at the world's largest and oldest military aviation museum! 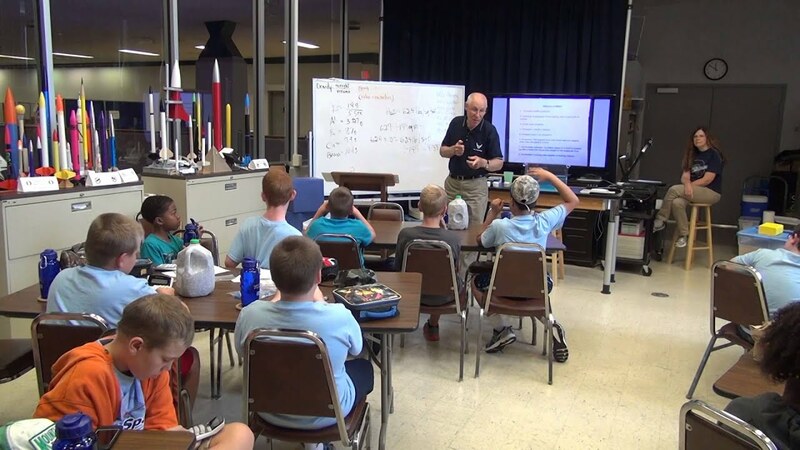 Whether you are an educator looking for a STEM connection or a youth group leader or family looking for fun aerospace activities, we have a variety of programs to meet your needs. Because we want your visit to be the best it can be, we encourage you to review all the materials in this section carefully before your visit to familiarize yourself and your group or family with what the museum has to offer. If you have additional questions, contact the Education Division at nationalmuseum.mut@us.af.mil. Some materials for educational programs are provided by the Air Force Museum Foundation, Inc.
(Federal endorsement is not implied). Scheduling is open now for Aug. 1, 2018 through Aug. 31, 2019. Click here to learn how to schedule a school group visit or a youth group visit. Museum events range from flying events and Air Force Band of Flight concerts to ceremonies and family days. Use the drop-down menus below to see details about upcoming events. The Air Force Museum Theatre will have a special showing of a popular Hollywood movie on the big screen. Click here for more information. Glimpse Behind the Scenes program, 1 p.m. – 3 p.m. This program provides an opportunity to engage with program volunteers on elements of the restoration process highlighted through a variety of materials and visuals. This program will take place every first and third Friday of the month from 1-3 p.m. and is open to all visitors. Registration is not necessary. Interested visitors can stop by the demonstration tables located in the Space STEM Learning Node anytime between 1-3 p.m. Click here for more information. Concert featuring the U.S. Air Force Band of Flight, 7:30 p.m. The U.S. Air Force Band of Flight will perform a free concert at the National Museum of the U.S. Air Force on May 11 at 7:30 p.m. Click here for more information. This event will include a Paratrooper Jump, D-Day films and the opening of a temporary augmented reality exhibit which will remain open through the end of the year. Click here for more information. Family Day, 9 a.m. – 3 p.m. Designed for visitors of all ages and offers several hands-on opportunities for all to enjoy. Click here for more information. Plane Talks – Armed Forces Day, 10:30 a.m. – 3:30 p.m. Plane Talks will occur a few times a year and allow visitors the opportunity to interact with various subject matter experts. The experts at these talks may include veterans, active duty, former pilots, crew members, engineers, navigators, and more. These experts will be stationed in the galleries near the aircraft or exhibit that relates to their expertise. These Plane Talks programs often occur on the anniversary of a significant Air Force or military event. Click here for more information. The event on June 6th with include a flyover, wreath laying, living history re-enactors, WWII-era vehicles, collection displays and D-Day films. Click here for more information. Family Day: Play Ball, 9 a.m. – 3 p.m. Celebrate the beginning of summer by learning about the science behind sports activities. Click here for more information. The Dayton Air Show occurs at the Dayton International Airport. It is not affiliated with the museum in any way. However, the Regional Transit Authority (RTA) bus service often offers shuttle buses that run to and from the museum, dropping off riders at the Air Show main gate. Click here for more information about the Air Show. Family Day: 50th Anniversary of Moon Landing, 9 a.m. – 3 p.m.
Help us commemorate the 50th anniversary of Apollo 11 - the first time humans set foot on the moon. Click here for more information. Family Day: National Aviation Day, 9 a.m. – 3 p.m.
Commemorate National Aviation Day by learning about the history and technology of aerospace. Click here for more information. Giant Scale Radio-Controlled (RC) Model Aircraft Air Show, 9 a.m. – 4 p.m. Visitors will see some of history’s well-known airframes at the National Museum of the U.S. Air Force over Labor Day weekend, but they won’t just be the ones inside the galleries. Scale versions of those aircraft will fly over the museum, regaling spectators with daring aerobatics. RC pilots will entertain audiences as they perform skillful maneuvers with jets, warbirds and helicopters from all eras of aviation history. Click here for more information. Big Band Concert featuring Glenn Miller music performed by Air Force Bands, 7:30 p.m.
Air Force Band of Flight and the Air Force Band of Mid-America will perform a free Big Band Concert featuring Glenn Miller music at the National Museum of the U.S. Air Force on Sept. 6 and 7. The Air Force Band of Flight, stationed at Wright-Patterson AFB, Ohio presents more than 240 performances annually. The Band of Mid-America, stationed at Scott AFB, Illinois performs throughout a ten-state region from the upper peninsula of Michigan to Arkansas. Click here for more information. Plane Talks – 72nd Anniversary of the Air Force, 10:30 a.m. – 3:30 p.m. Plane Talks – National POW/MIA Recognition Day, 10:30 a.m. – 3:30 p.m. The start/finish line for the Air Force Marathon is on museum grounds. The museum is still open regular hours of 9 a.m. – 5 p.m. However expect increased traffic and attendance on this day. Click here for more information about the Marathon. Family Day: Fall with Gravity, 9 a.m. – 3 p.m. Celebrate the fall while learning how we can overcome and cope with the force that causes falling! Click here for more information. Plane Talks – 70th Anniversary of the end of the Berlin Airlift, 10:30 a.m. – 3:30 p.m.
Home School STEM Day, 9 a.m. – 12:30 p.m.
Home school students can learn about aviation history and STEM topics with classes, tours and demos. Click here for more information. Family Day: Spooktacular Aerospace Fun, 9 a.m. – 3 p.m. Learn fun science principles through Halloween-themed activities! Come in your favorite costume! Click here for more information. Night at the Air Force Museum, 6 p.m.
Aviation history will come alive during Night at the Air Force Museum ten years after the first time this event occurred at the National Museum of the U.S. Air Force. A variety of interactive programs will take place throughout the museum, as visitors have the unique opportunity to meet characters from all eras of military aviation history. Discover the source behind this evening of “life” at the museum. Best of all, this family-friendly event is free! Click here for more information. Plane Talks – Veterans Day, 10:30 a.m. – 3:30 p.m.
Family Day: Exploring Engineering, 9 a.m. – 3 p.m. Learn about engineering through fun demonstrations and hands-on activities. Click here for more information. Plane Talks – Pearl Harbor Remembrance Day, 10:30 a.m. – 3:30 p.m. The U.S. Air Force Band of Flight will perform a free concert at the National Museum of the U.S. Air Force on Dec. 14 at 7:30 p.m. Click here for more information. Click here for information on the next Family Day. For more information about educational programs, please email the Education Division. Notice: Visitors may be filmed, photographed or recorded by the U.S. Air Force for educational and promotional uses, including for posting on public websites and social media.